Andrea J. Buchanan is the co-author with Miriam Peskowitz of the phenomenal New York Times and international best-seller The Daring Book For Girls (Collins). The empowering how-to, can-do, hands-on manual for girls struck a nerve across the country with its simple message about the pleasures of girlhood. Buchanan and Peskowitz appeared on The Today Show, Fox and Friends, NPR’s Weekend Edition Saturday, Martha Stewart Living Radio, and drive-time radio nationwide and internationally. The Daring Book for Girls was featured in Newsweek, Time, O Magazine, Good Housekeeping, USA Today, Entertainment Weekly, The New York Times, The Los Angeles Times, The Washington Post, The Toronto Globe and Mail, The Times of London, Teen Vogue, and across the internet and blogosphere. In addition to appearances for The Daring Books for Girls, Buchanan has given talks about writing, publishing, and motherhood. Buchanan can be booked together with Peskowitz or separately. 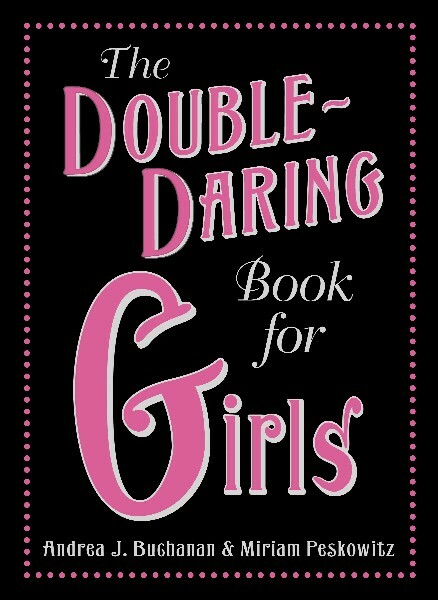 The Daring Book for Girls is the quintessential book for girls of all ages who seek a life filled with curiosity, inspiration, and adventure, and is filled with everything from how to put your hair up with a pencil, make a peg-board game, shoot a basket or play darts, to the lives of ancient queens, tips for being a spy, and how to speak in public and to negotiate a salary. It speaks to people of all ages who seek relief from our pressure-filled world where everyone grows up so fast and so soon. An inspirational book, it marries our quick-in-coming technological changes to an older set of values in which family, friendship, and having the skills to make and fix things matter. Where our nine-year old girls no longer have to act like they are 17. Where a Sunday afternoon is not for shopping, but for hiking, reading, and laughing; for shortsheeting beds, running a lemonade stand, or learning to skateboard; or for making a cloth-covered book, a scooter from wood and nails, and a flashlight from a pair of D-cell batteries. Buchanan and Peskowitz follow up the best-selling Daring Book for Girls with the even bigger, better Double-Daring Book for Girls, a guide to everything from surfing to making a raft to learning the rules of football and the art of the Japanese Tea Ceremony. 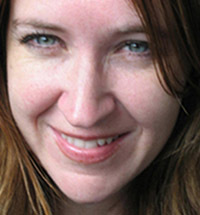 Buchanan is a writer specializing in mothers and daughters. She is also the author of Mother Shock: Loving Every Minute of It and the editor of three anthologies: It’s a Boy: Women Writers on Raising Sons; Literary Mama: Reading for the Maternally Inclined; and It’s a Girl: Women Writers on Raising Daughters. Her work has also been featured in the anthologies About What Was Lost: Twenty Writers on Miscarriage, Healing, and Hop; The Imperfect Mom: Candid Confessions of Mothers Living in the Real World; Your Children Will Raise You: The Joys, Challenges, and Life Lessons of Motherhood; and Breeder: Real-Life Tales from the New Generation of Mothers. Before becoming a writer, Buchanan was a classical pianist. She studied at the Boston Conservatory of Music, where she earned her bachelor of music degree in piano performance, and continued her graduate studies at the San Francisco Conservatory, earning a master’s degree in piano performance. Her last recital was at Carnegie Hall. She lives in Philadelphia with her husband, son, and daughter.